Chris lived for the first 14 years of his life in the North of England before moving to Perth, Western Australia. The theatre culture he encountered at his new high school nurtured Chris’ talents, where he achieved the junior drama award, the Glenn Hitchcock Drama prize and gained the role of Captain of Drama. After graduating high school, he was invited to perform his self-written, practical exam piece in the WACE drama showcase, Perspectives, at His Majesty’s Theatre. Under the tutelage of Western Australian Academy of Performing Arts improvisation teacher Glenn Hall, Chris performed in a variety of long and short form productions for his company – Just Improvise. Alongside these productions, Chris played Ludovico in Othello at Upstart Theatre Co. at various independent improvisational shows at the Lazy Susan Comedy Lounge and a monologue for The Cutting Room Floor Theatre Co. 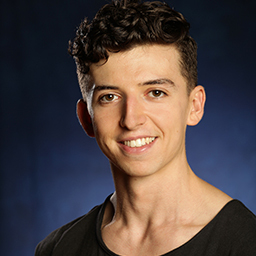 In 2014, Chris ventured back to Britain for the first time since leaving six years prior, where he watched numerous theatre shows and began preparation on his audition for NIDA.